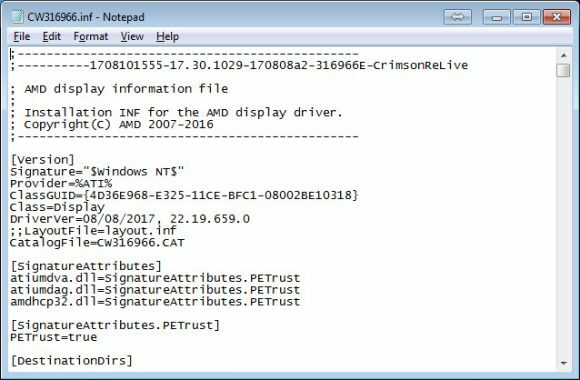 AMD has released a new beta video driver “for Blockchain Compute” or with other words a driver intended for mining and not for gaming use. The Radeon Software Crimson ReLive Edition Beta for Blockchain Compute Driver Version 17.30.1029 (Windows Driver Store Version 22.19.659.0) is available for Windows 7 and Windows 10 in 32-bit and 64-bit versions. The driver supports AMD Radeon HD 7×00 GPUs all the way up to the latest Radeon RX Vega Series Graphics. There are no official details available on what are the optimizations and if you should expect any kind of performance improvement. In fact this is more like a driver fixing the DAG epoch issues for Ethereum mining and it does not seem to be bringing any specific hashrate improvement other than restoring performance for Ethereum miners on Polaris GPUs. There was an unofficial fix a couple of days ago, but now you can use this official beta driver with the same results as the previous unofficial solution. We have already discussed that AMD’s Polaris series of GPUS such as RX 470/480 and RX 570/580 had some issues with dropping performance in the upcoming DAG epochs, regardless of their video memory size. Last month there was information from Claymore and Wolf0 that AMD is working on a driver fix to resolve the problem. It seems that there is already a solution that resolves the issue with dropping performance, even though it comes with unofficial driver (probably leaked official one with fix). It was posted by a new user on Bitcointalk, but has been confirmed to actually fix the problem and as a result you might regain some of the already lost hashrate and should not worry anymore that your performance will drop significantly if mining Ethereum by the end of the year. Do note however that this fixed driver is not going to make things work on 4GB GPUs when the DAG size approaches the limit of the video memory they have available and that is still happening! The driver was posted on Dropbox (not working at the moment due to too much traffic) and on alternative download website. You need to install it via Device Manager, then patch it and restart the mining rig. You must also use the latest Claymore Dual Miner v9.8 and there seem to be some problems with using Afterburner for voltage and fan control, though you can still modify them via the Claymore miner settings just fine. 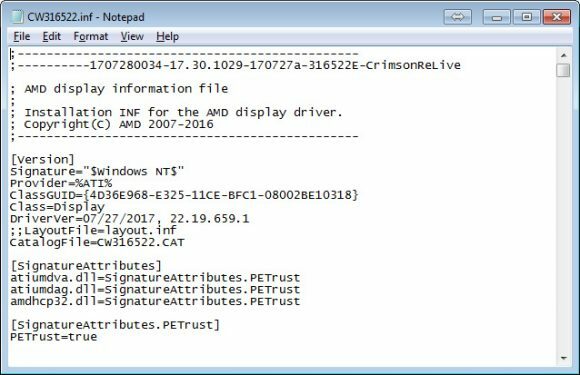 If these drivers are leaked from AMD (highly likely) we are most likely very soon going to see an official release available as well, so if you do not want to risk it, then just wait for the official release from AMD. It should most likely have the same effect as the modified drivers mentioned here. We have tested and can confirm they work and indeed fix the DAG problem.